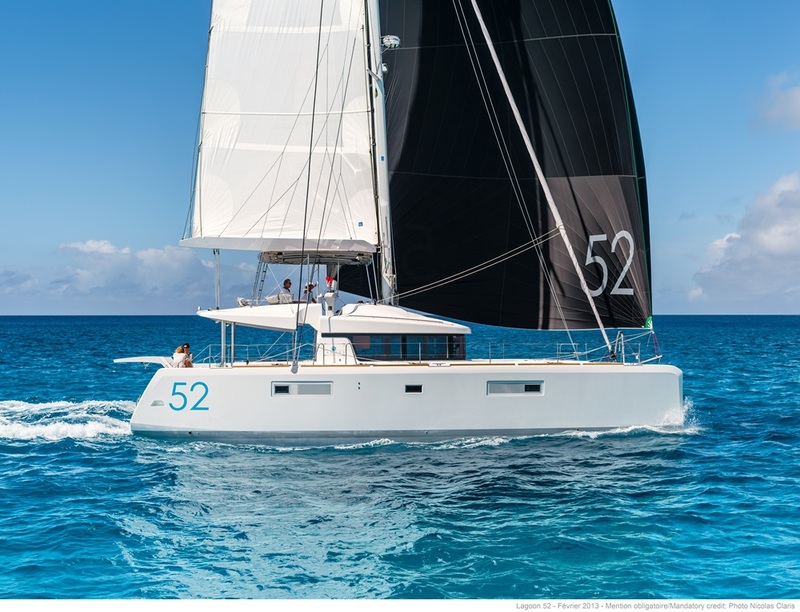 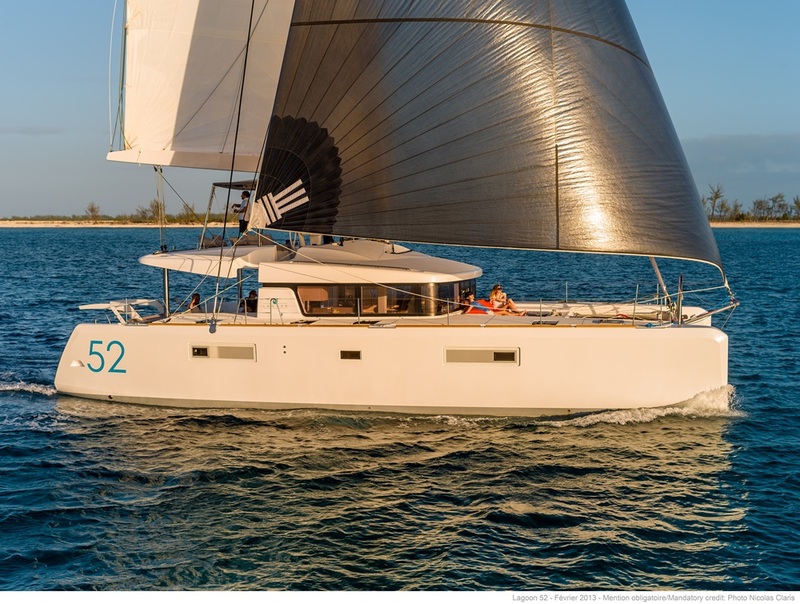 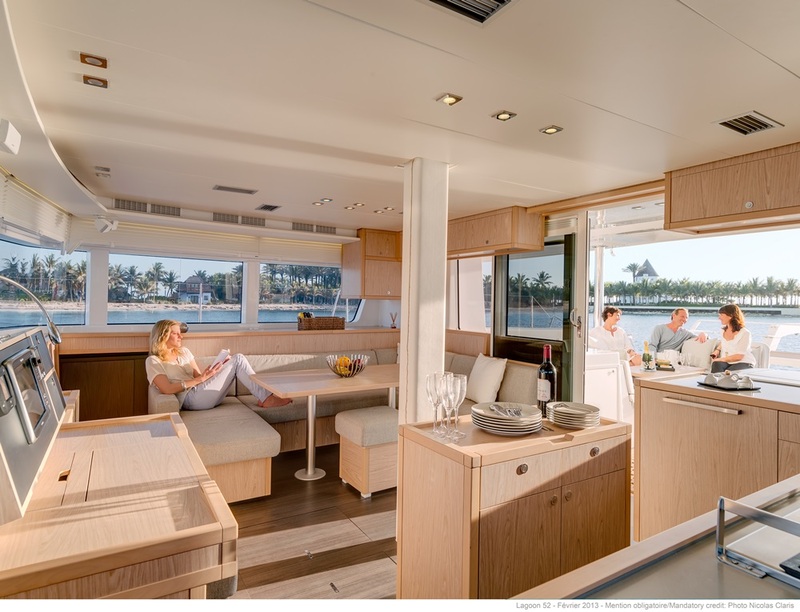 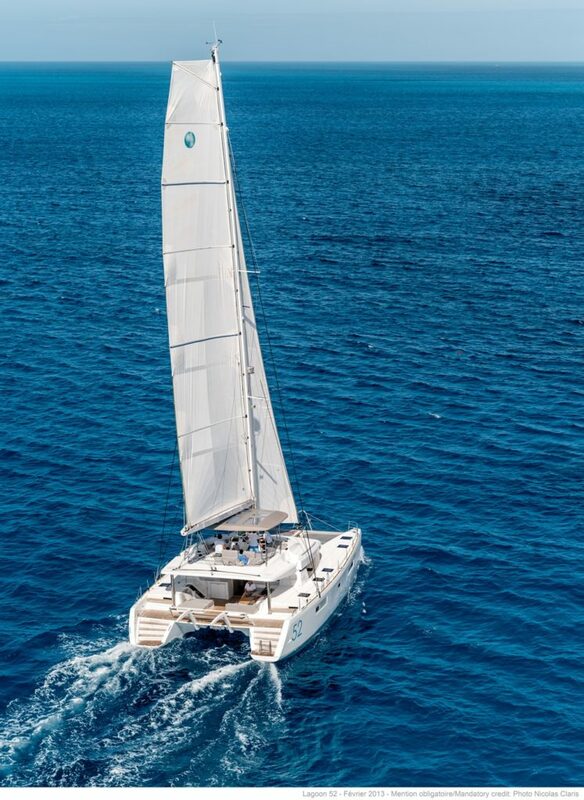 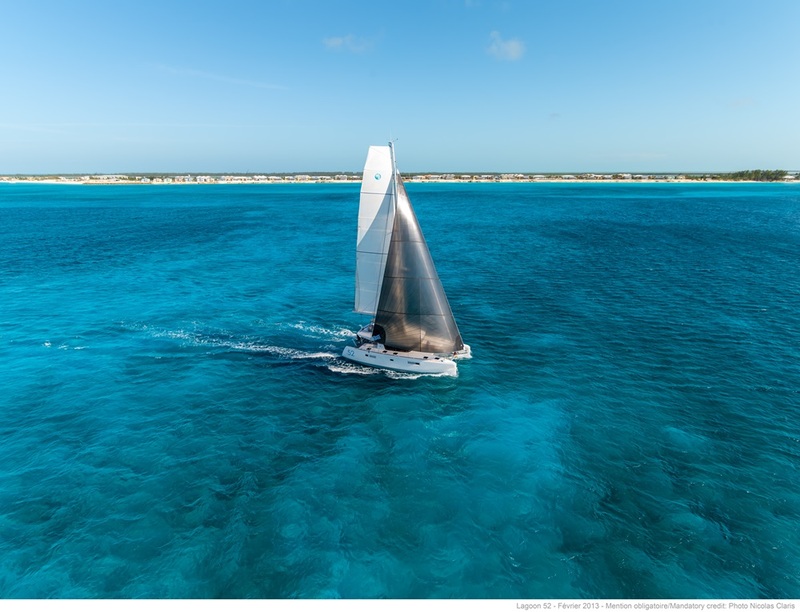 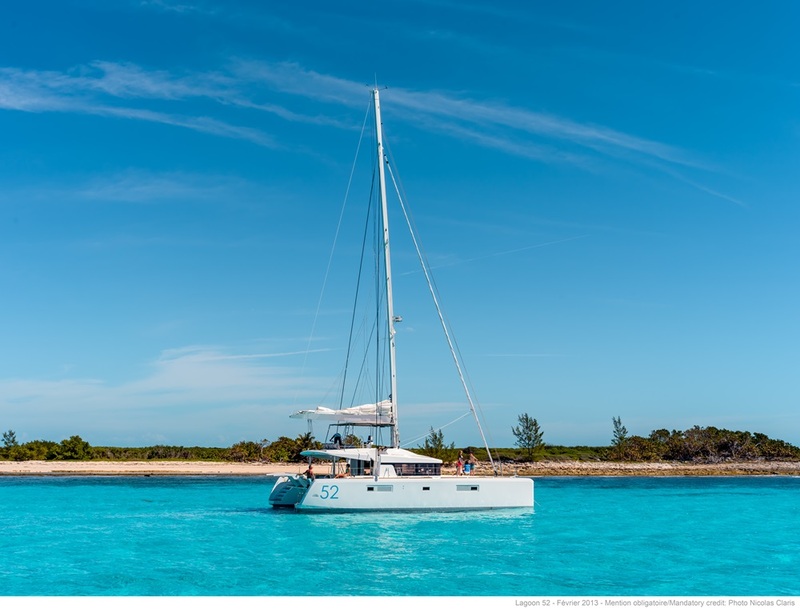 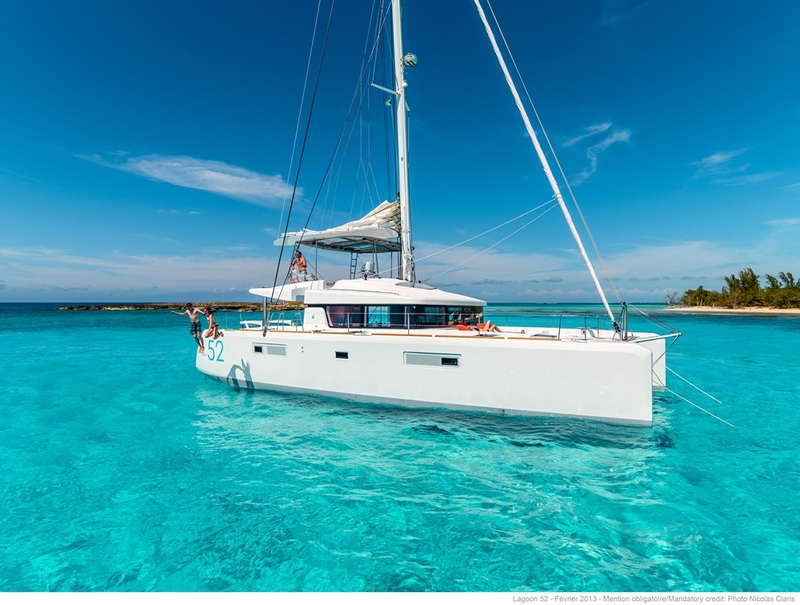 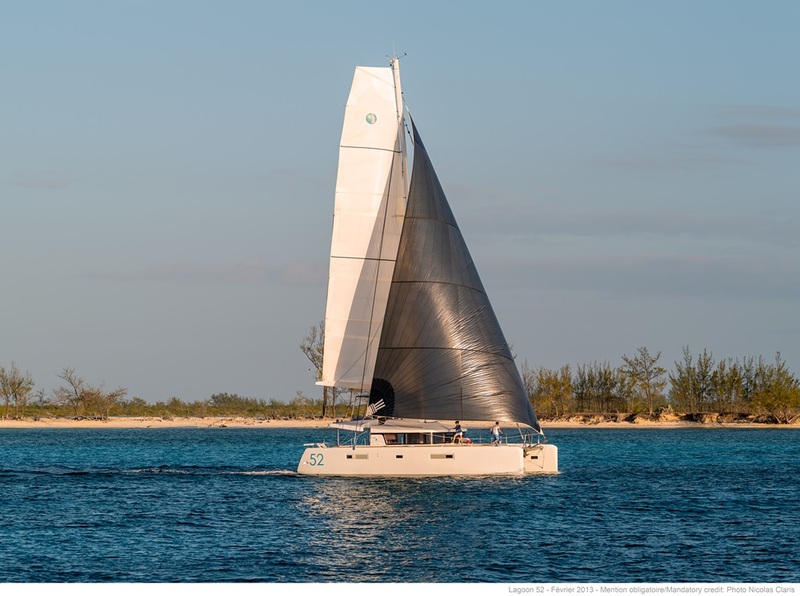 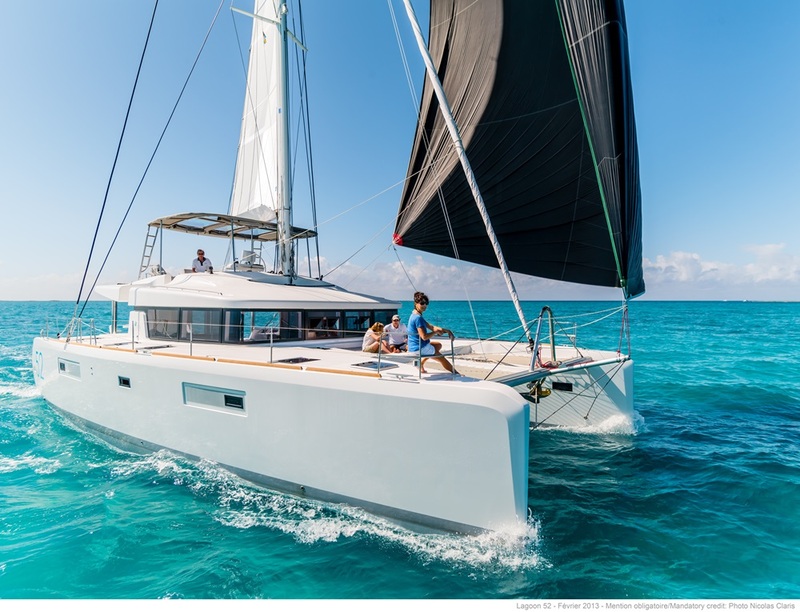 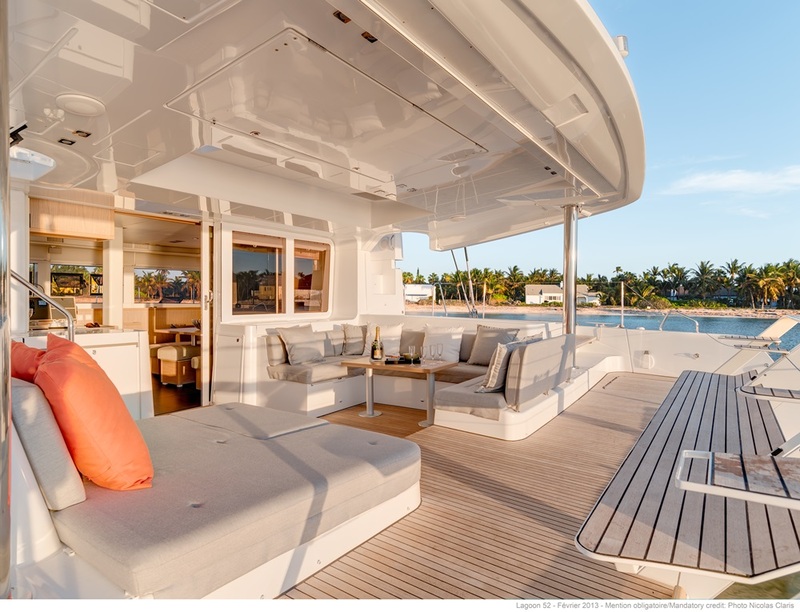 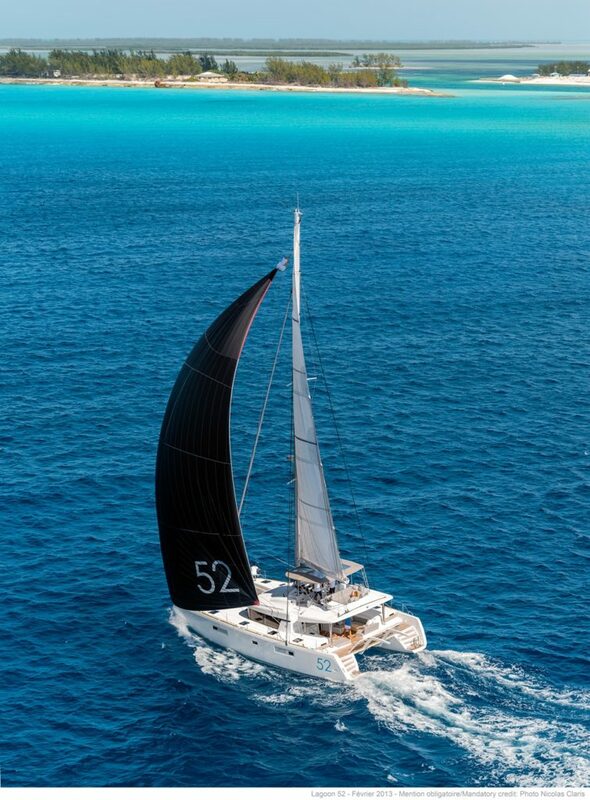 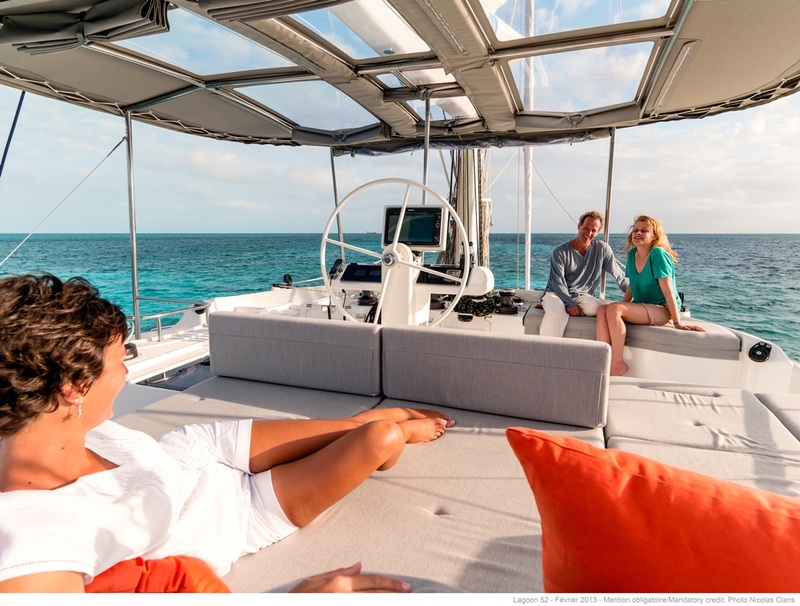 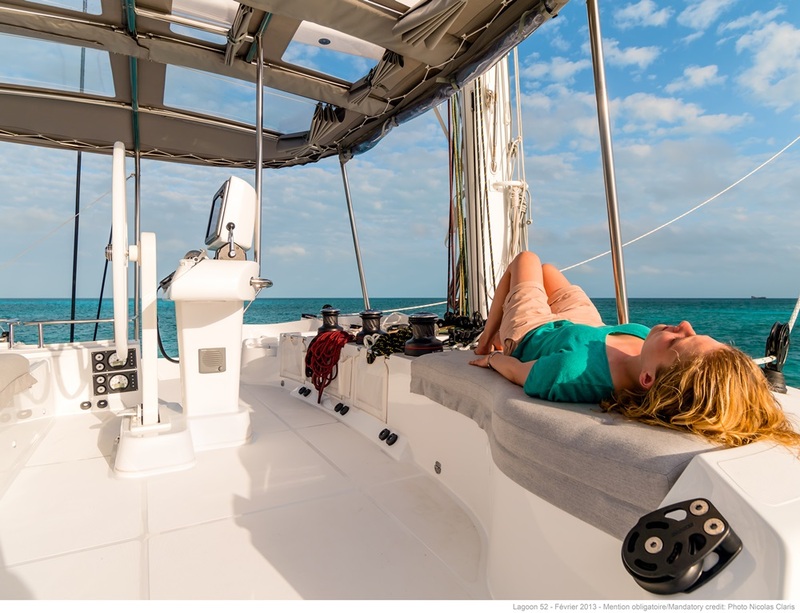 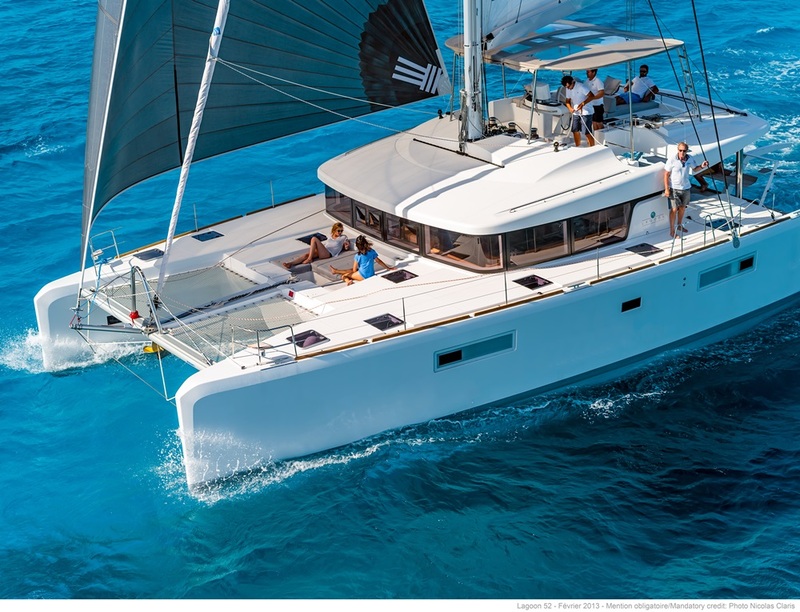 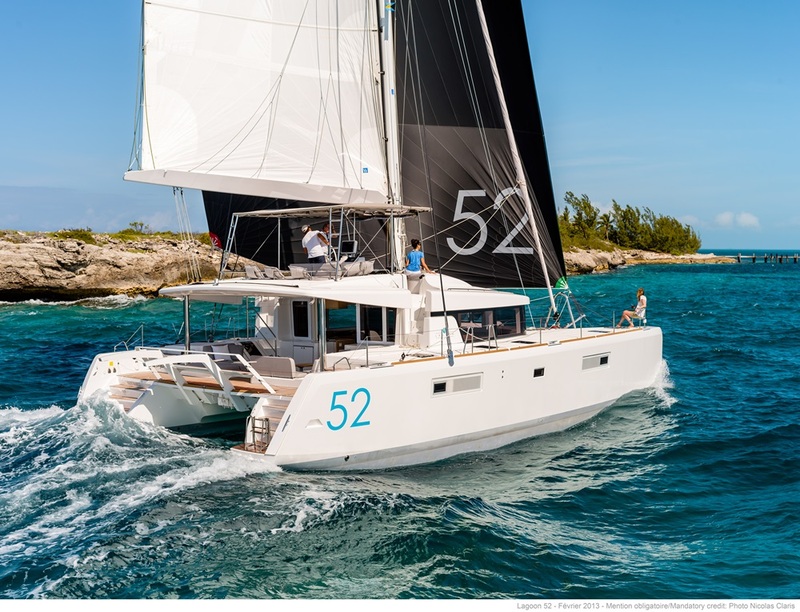 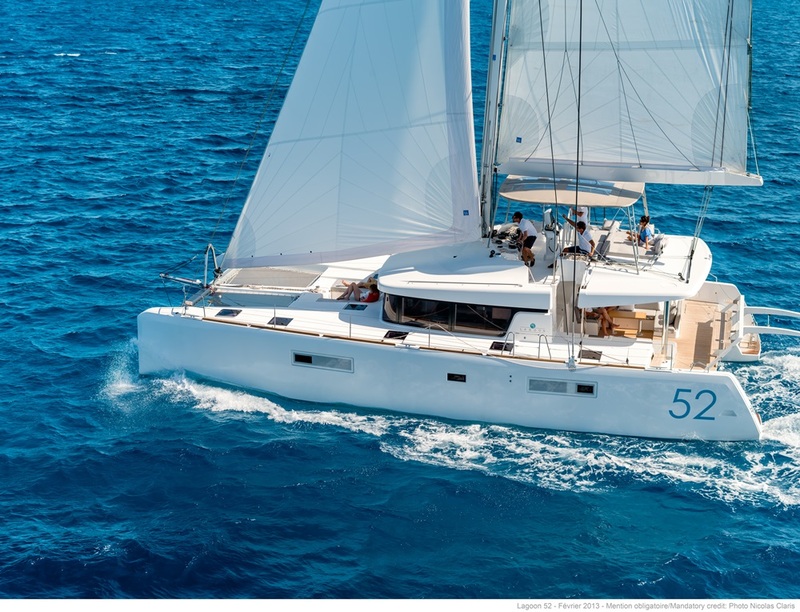 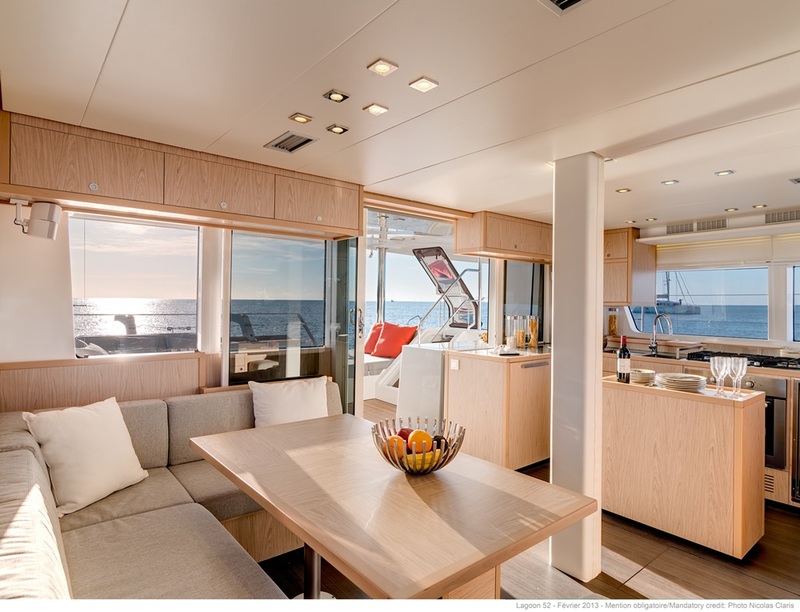 The 52 marks a whole new era in the design of cruising catamarans, as indeed did its predecessor, the famed 500. 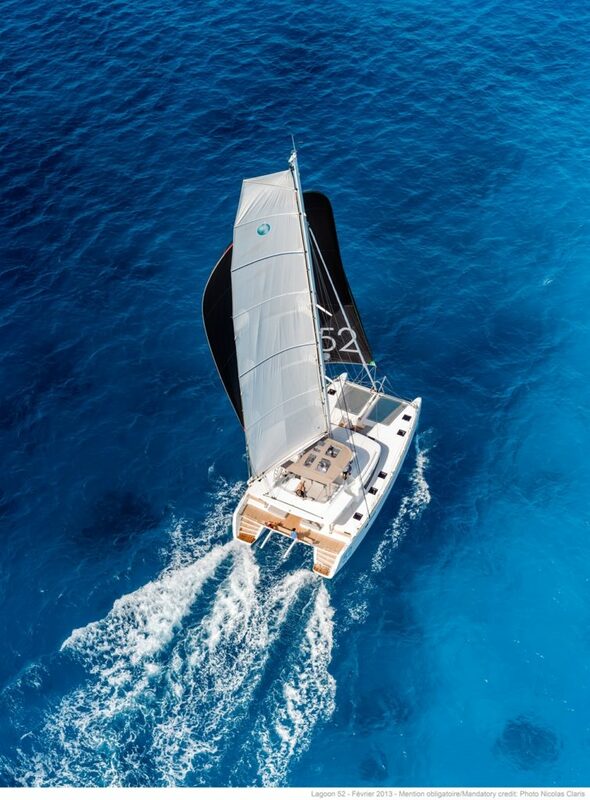 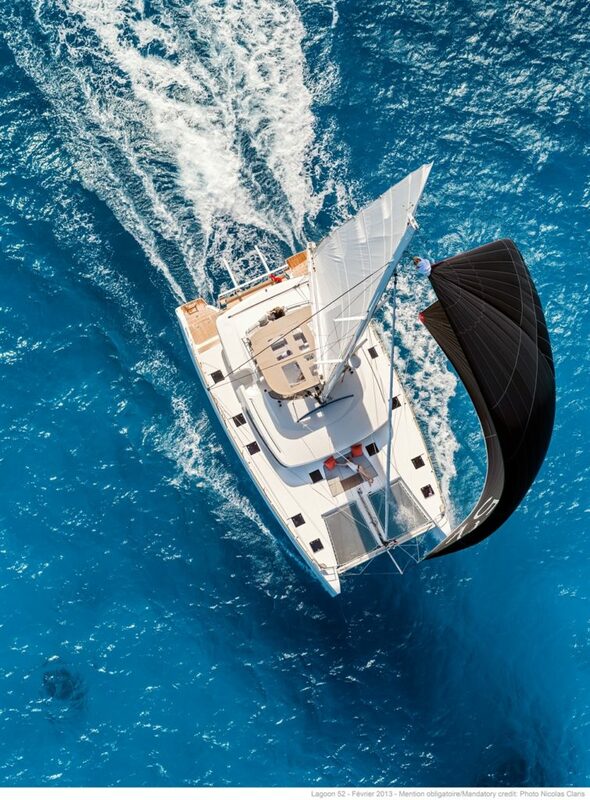 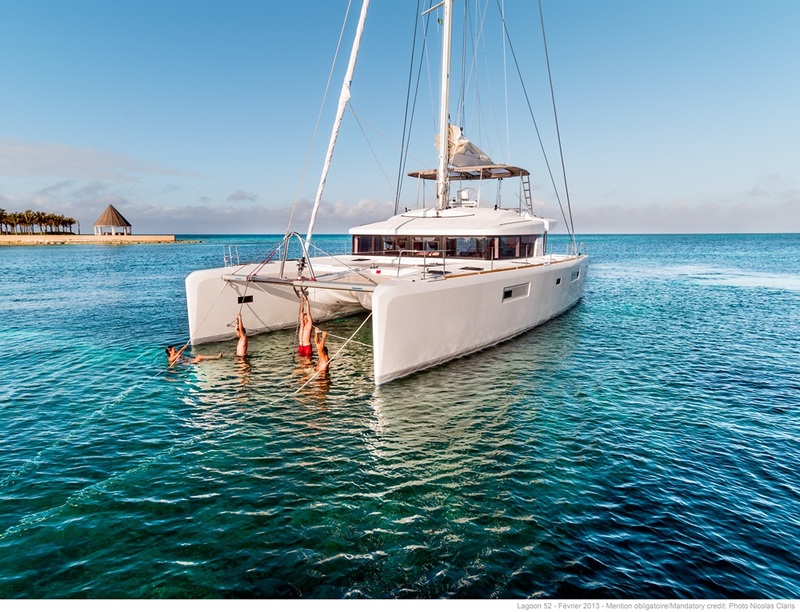 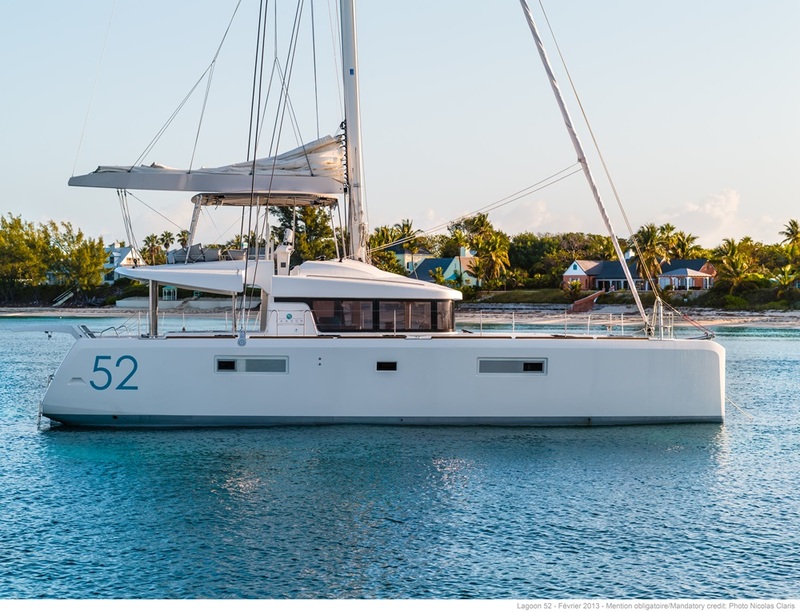 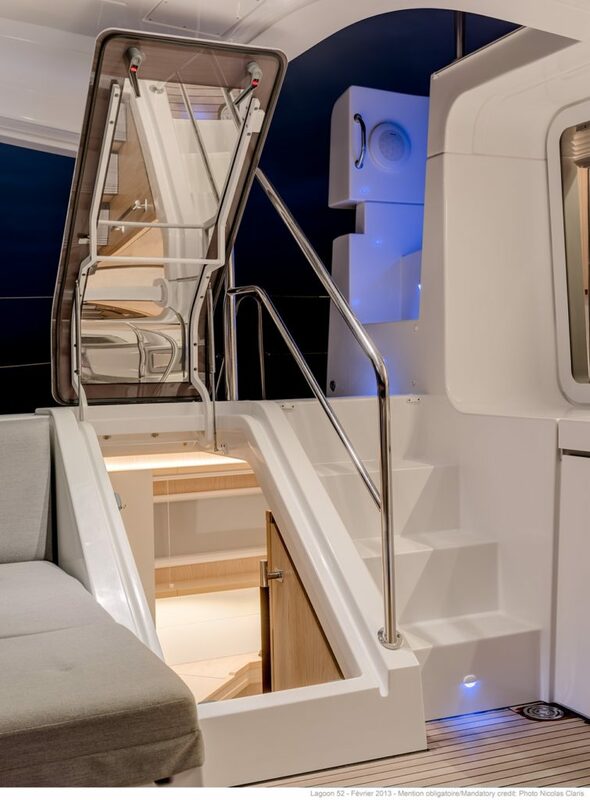 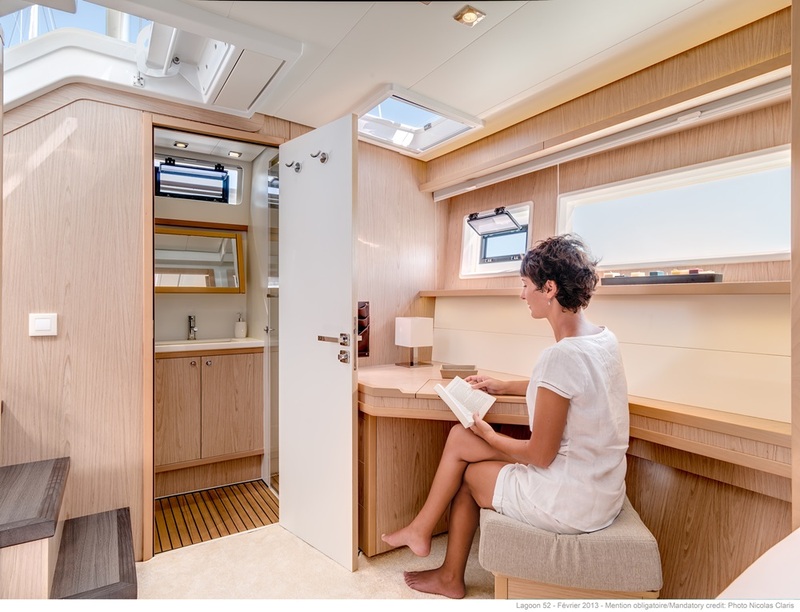 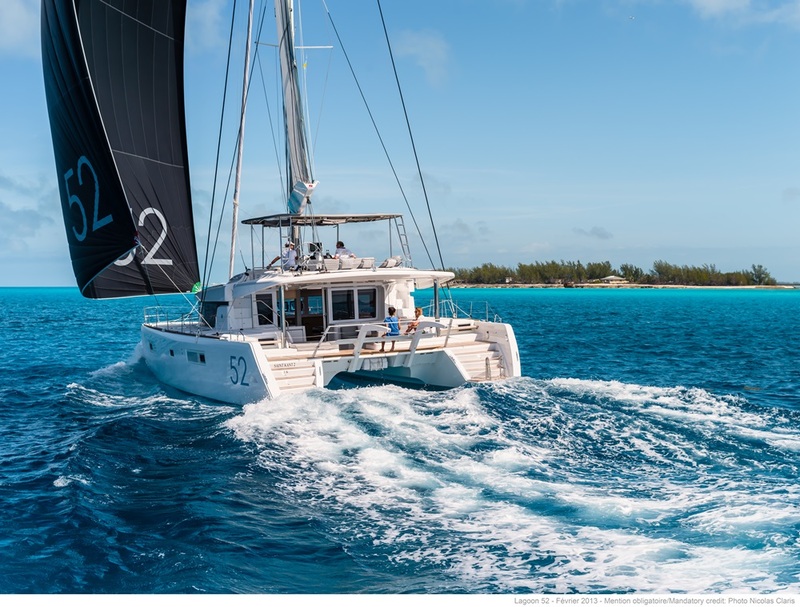 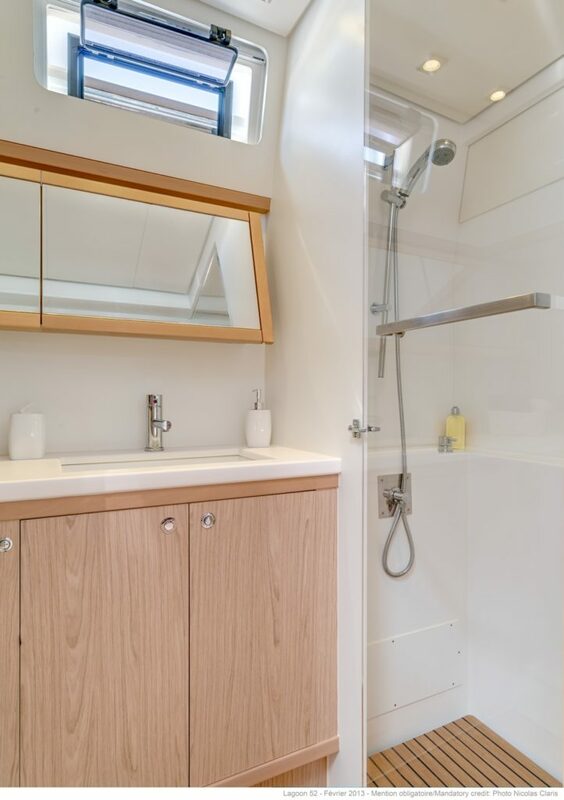 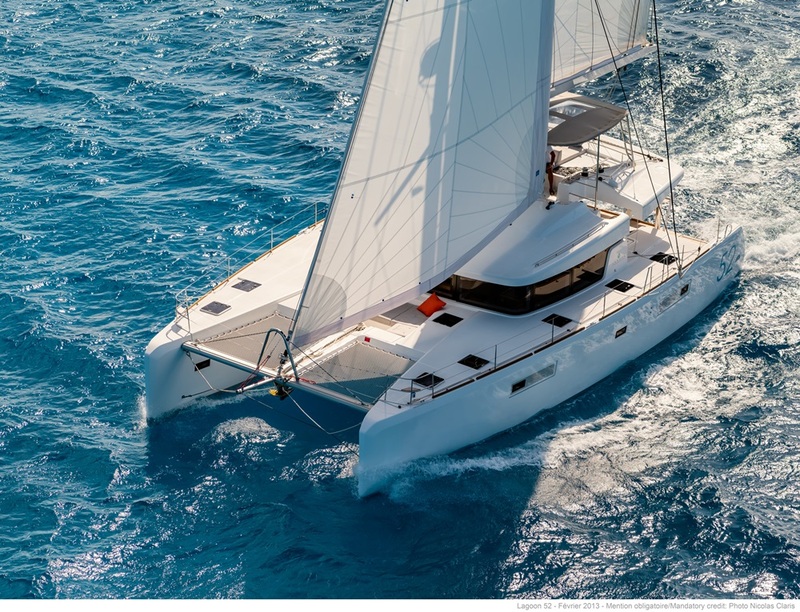 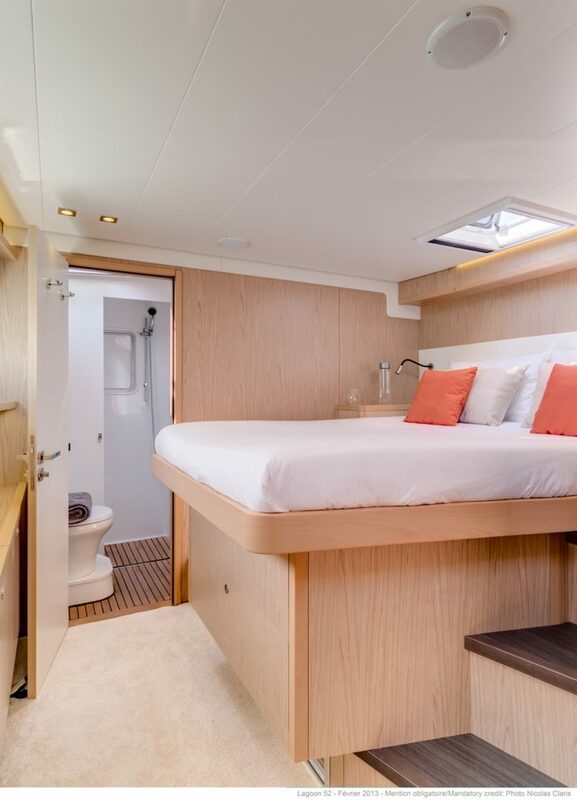 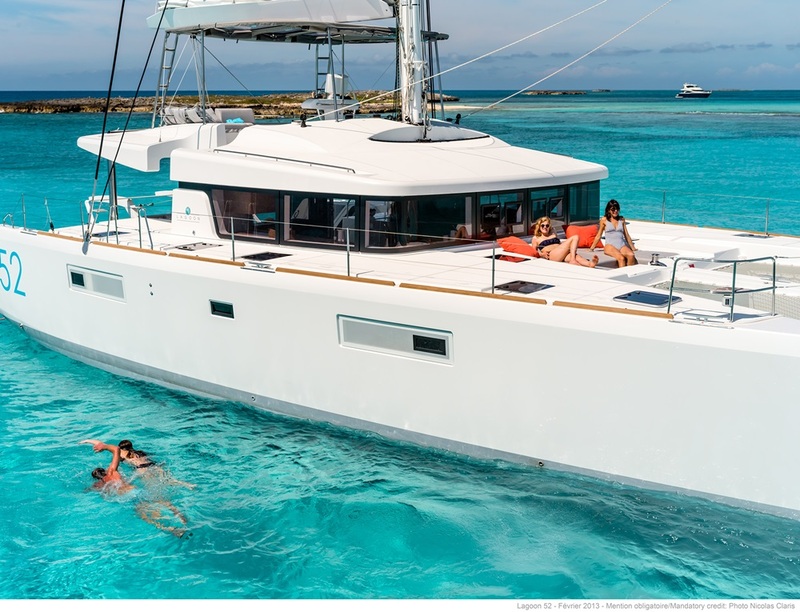 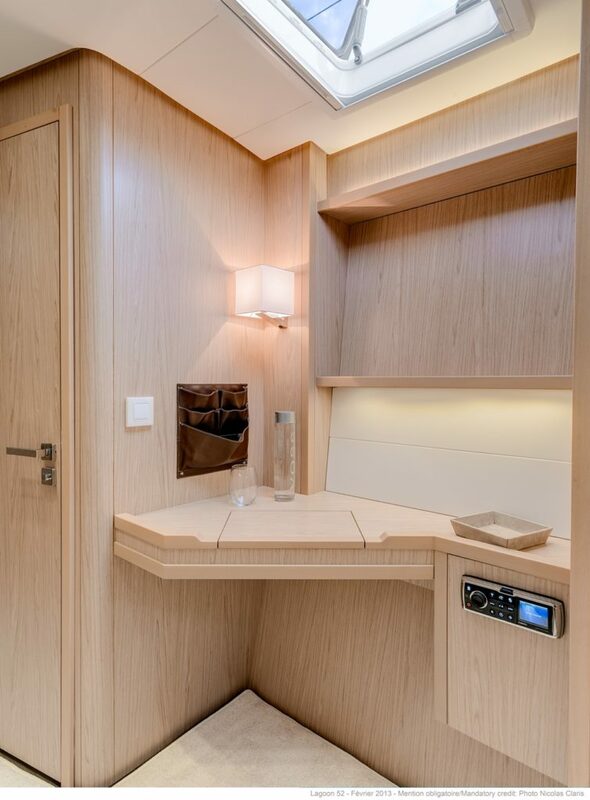 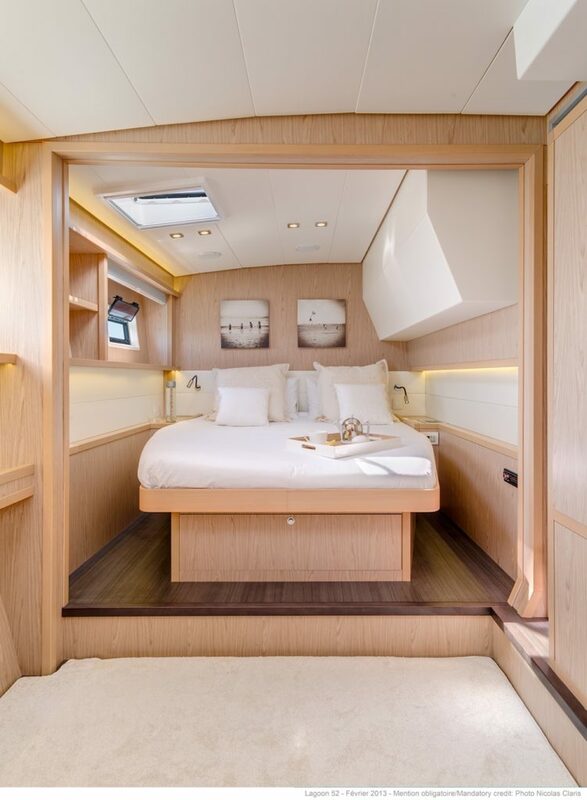 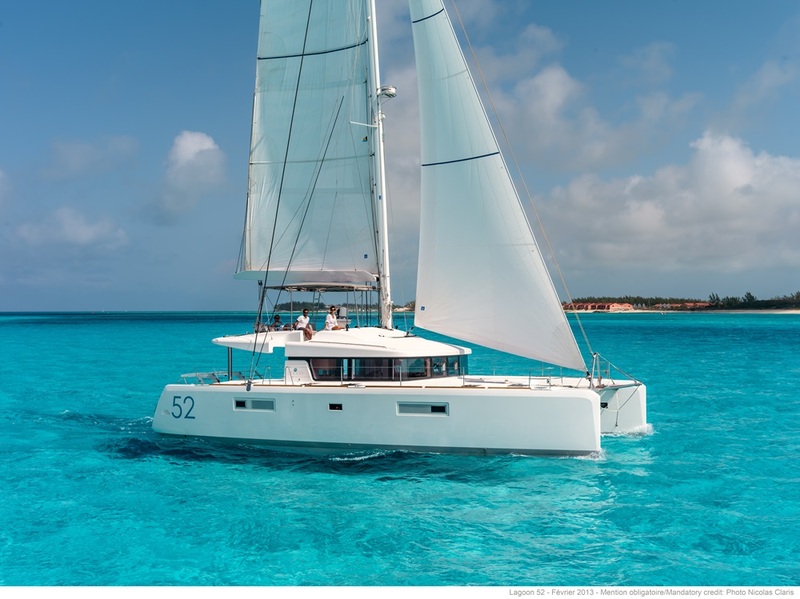 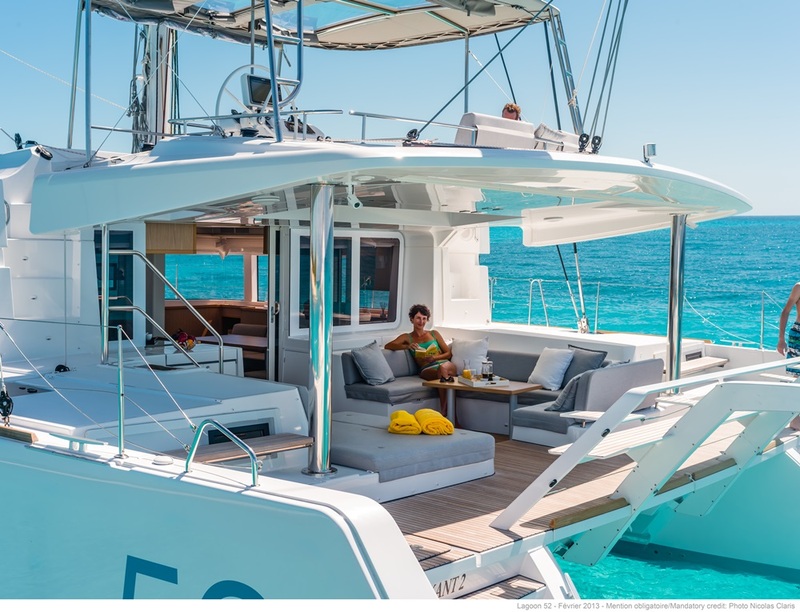 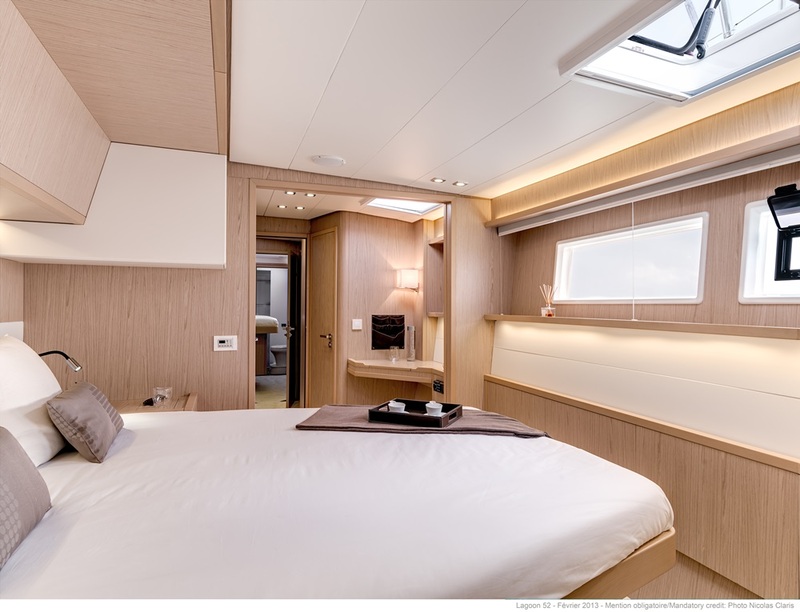 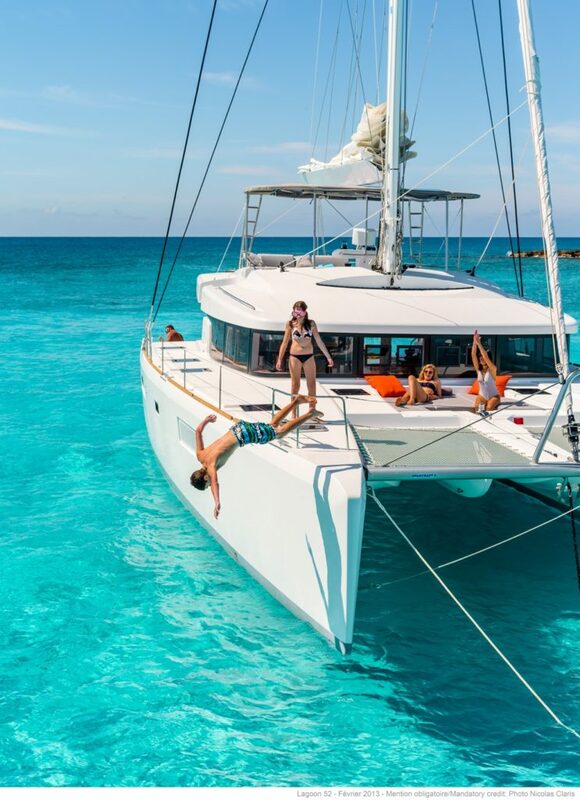 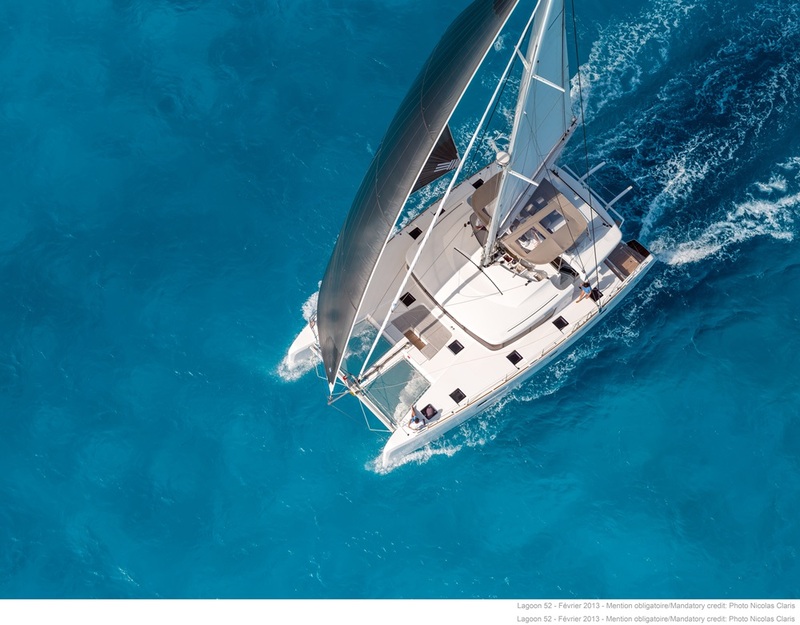 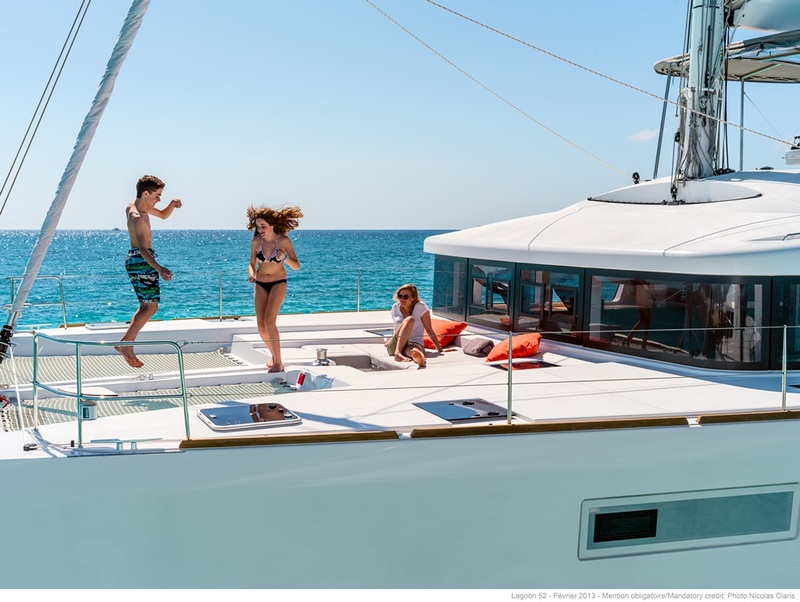 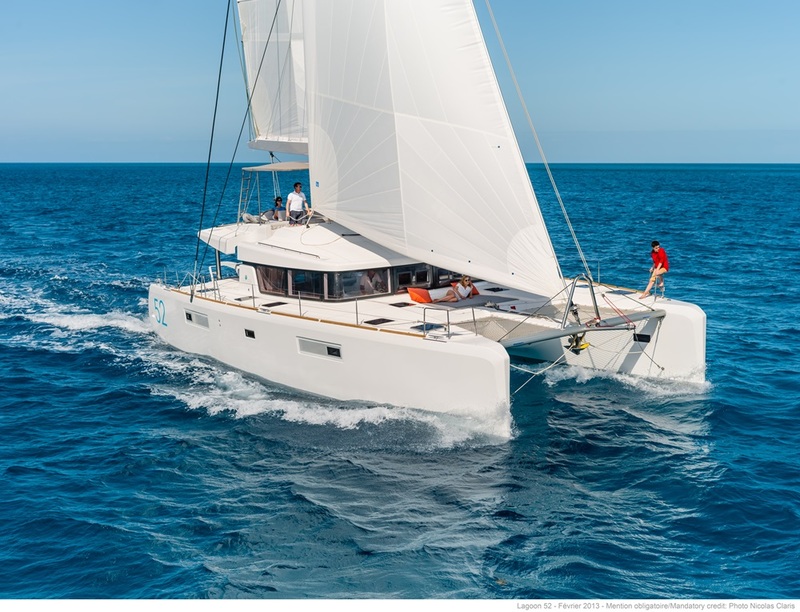 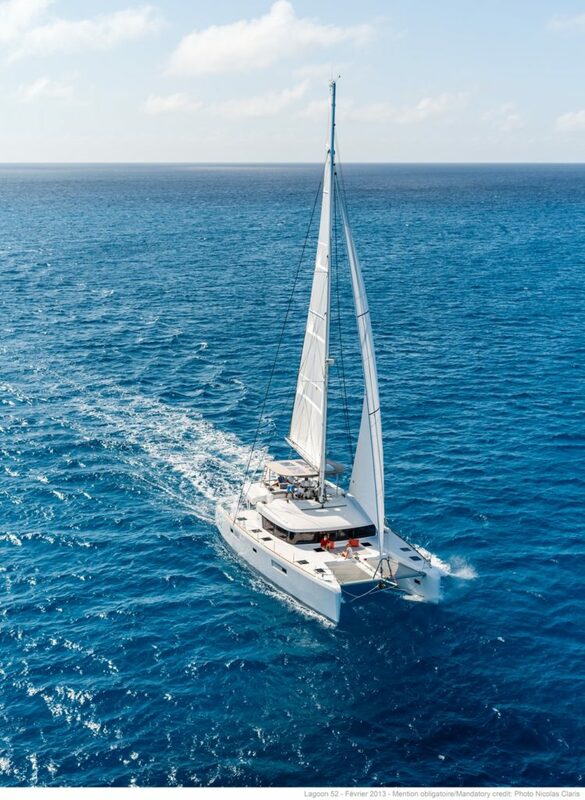 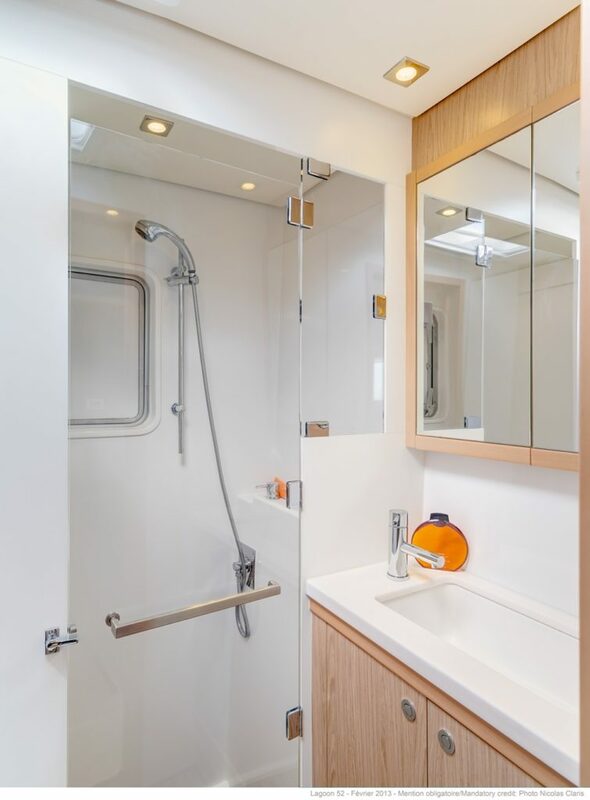 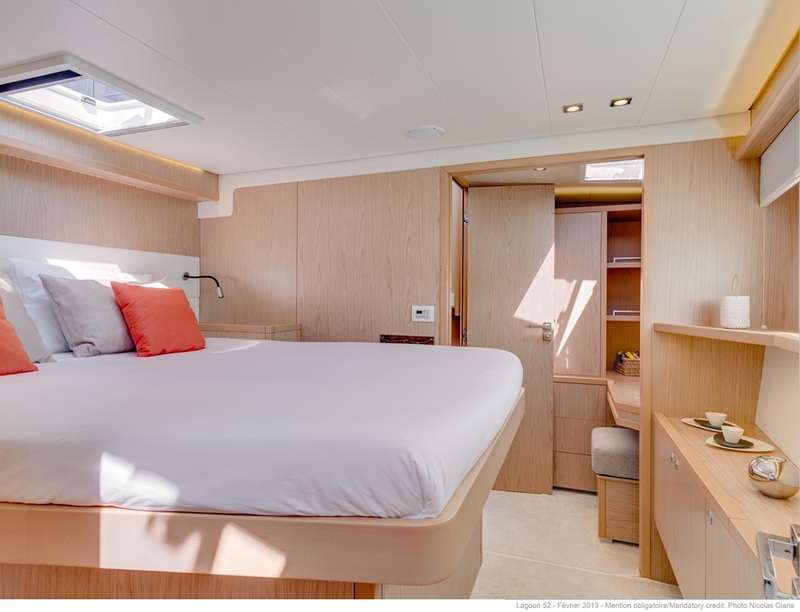 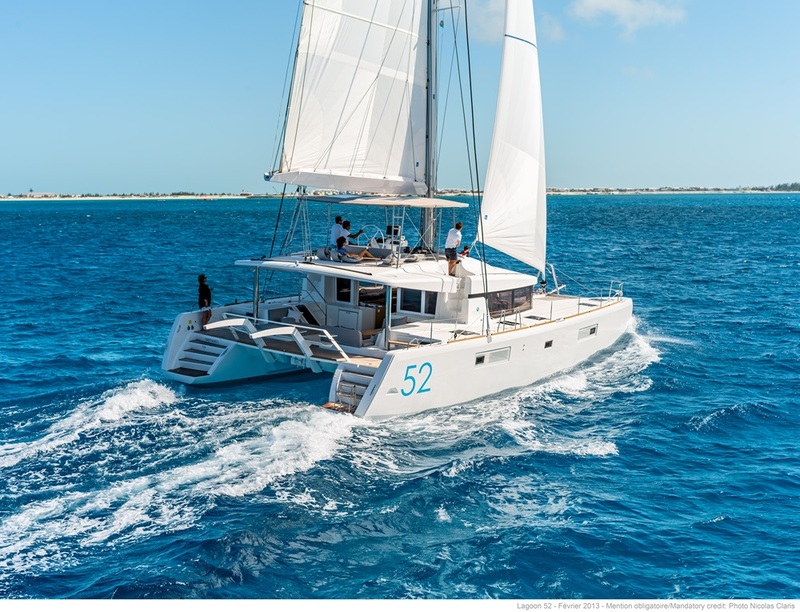 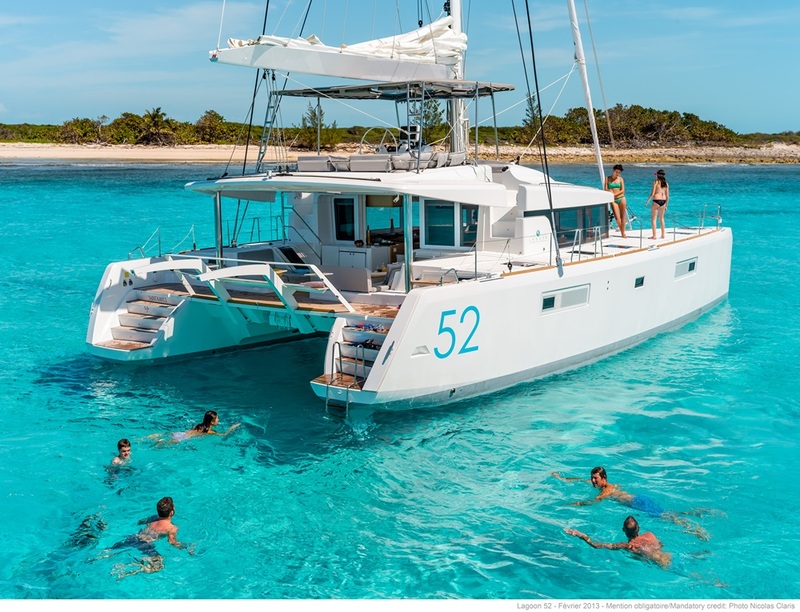 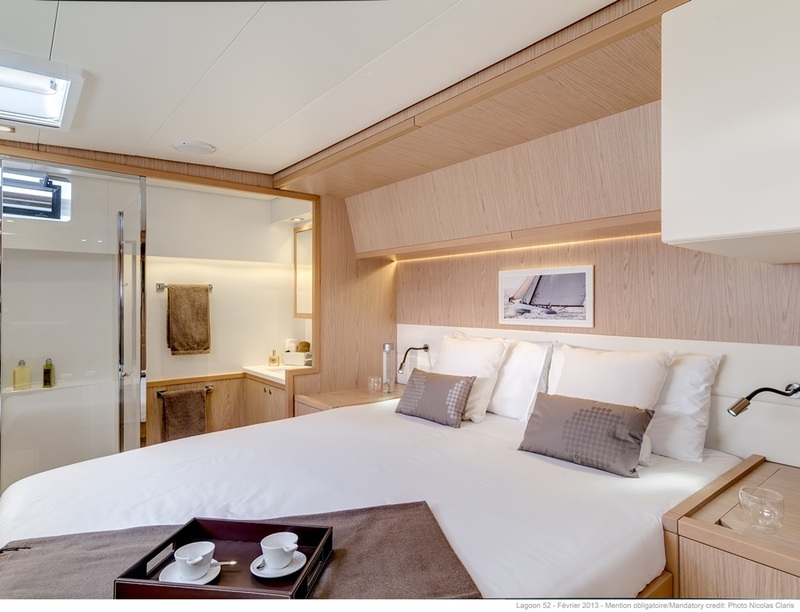 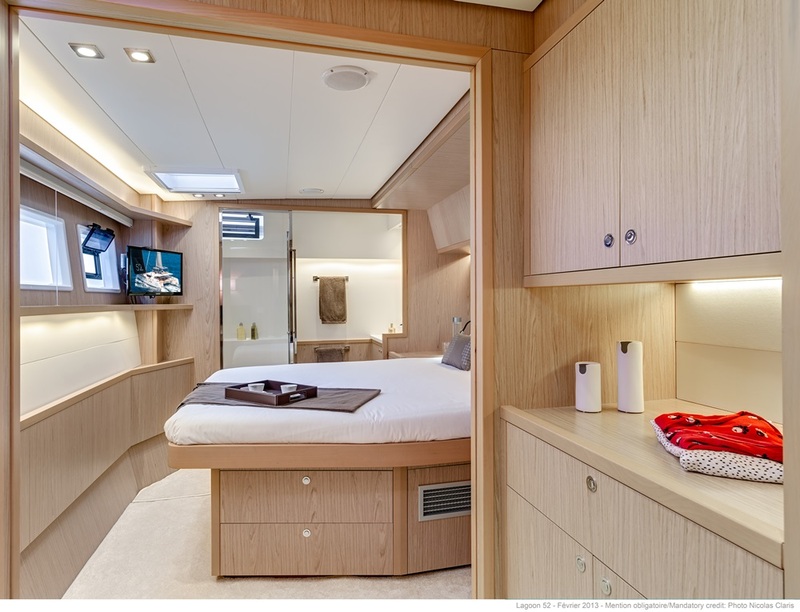 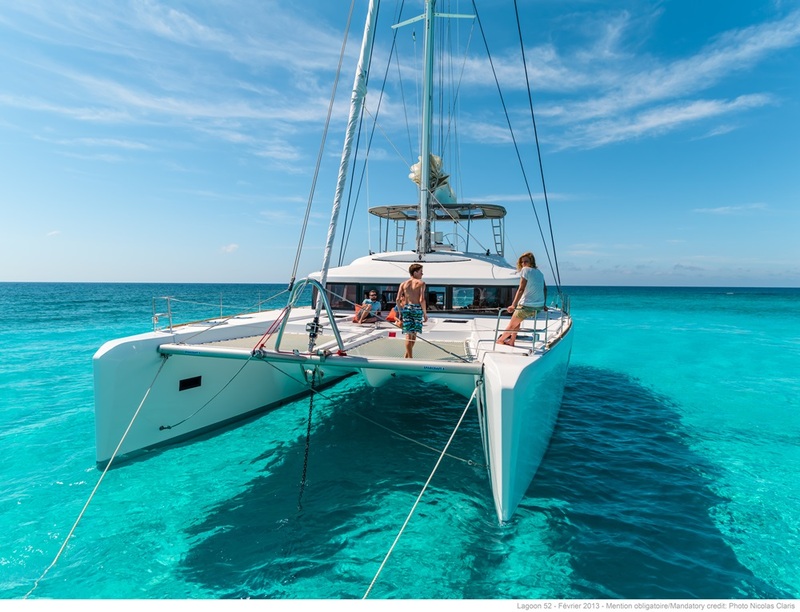 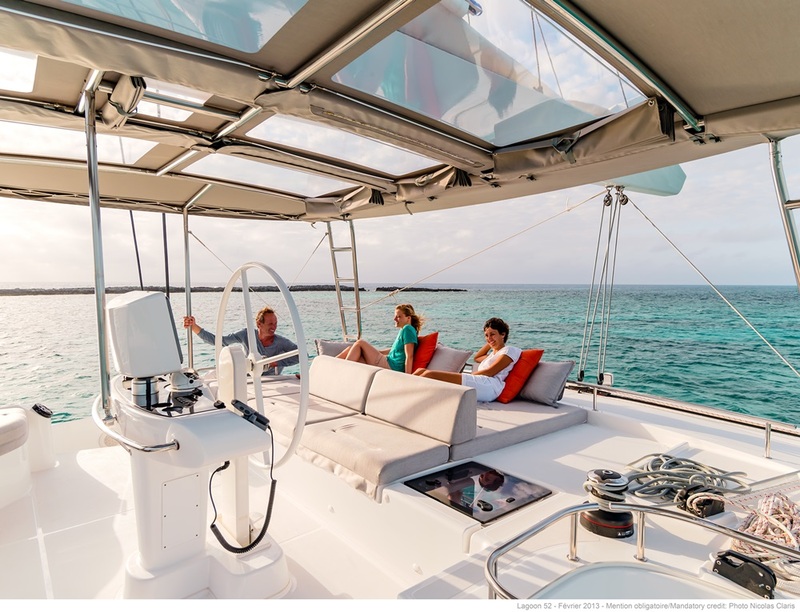 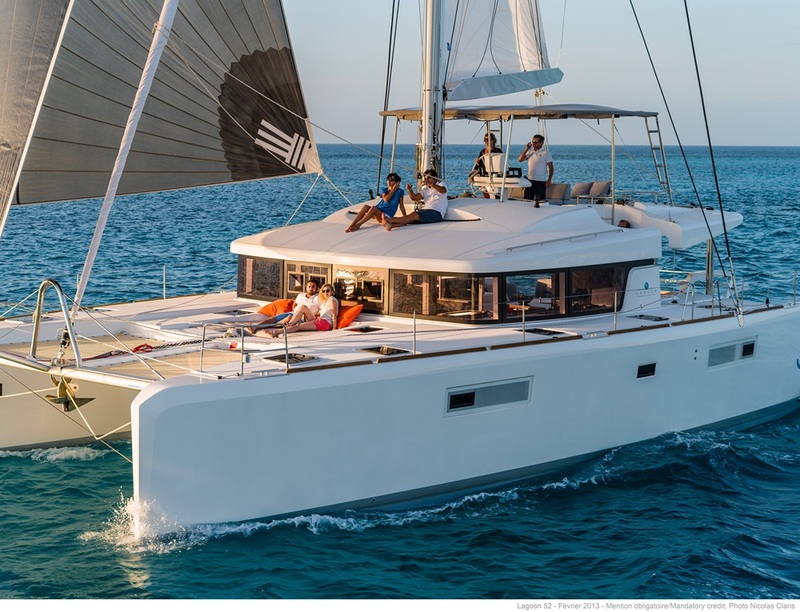 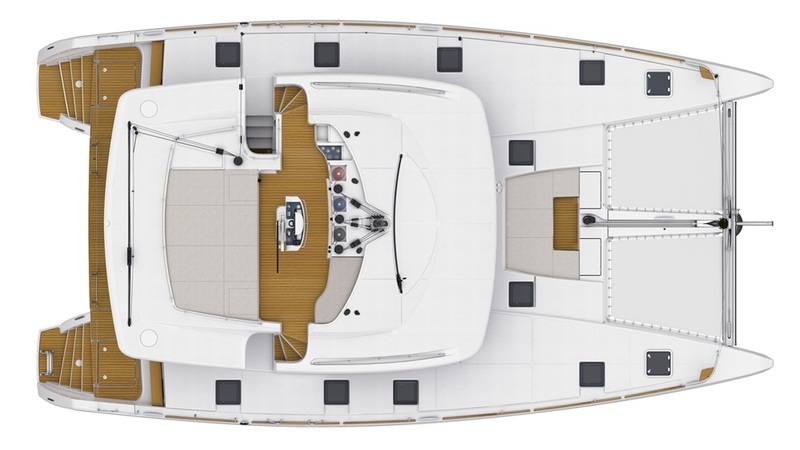 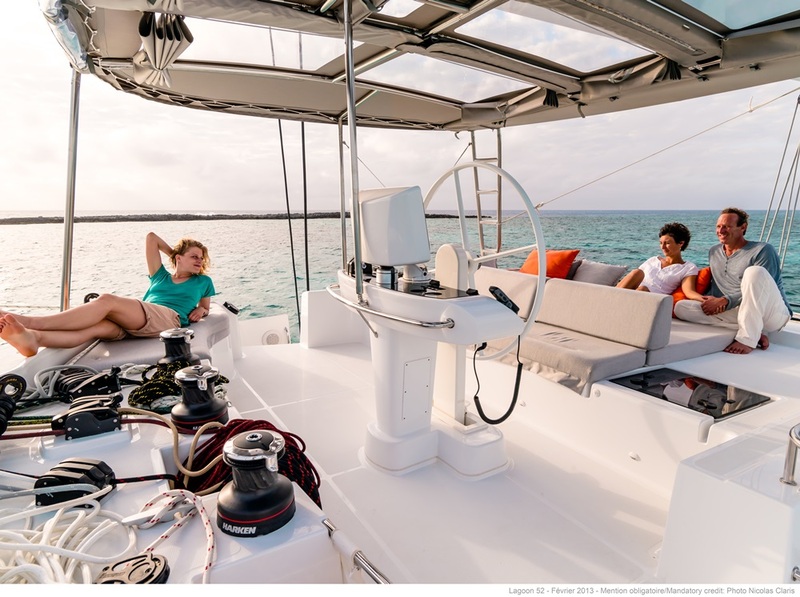 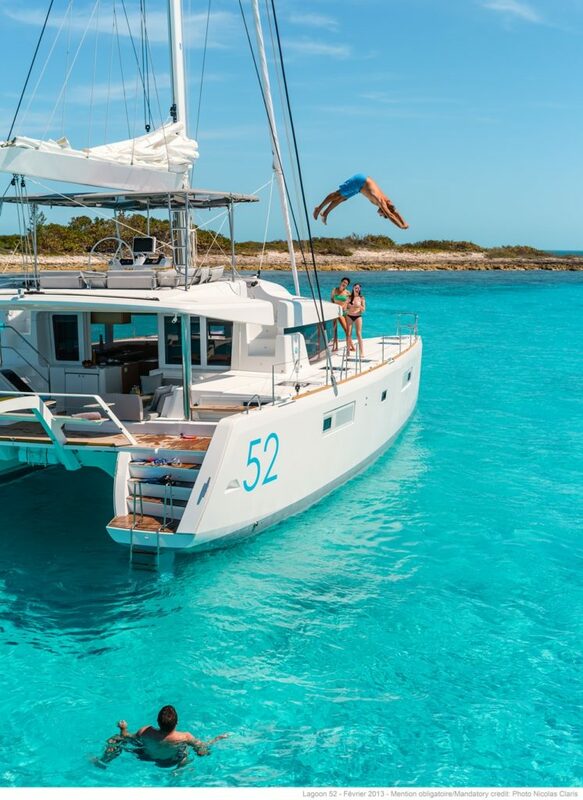 With its diamond-shaped vertical bows, bevelled hulls, its as if levitated deckhouse and tall rig, the 52 is no ordinary catamaran, but its originality goes a great deal further than just its "outer" appearance, or even its interior layout. 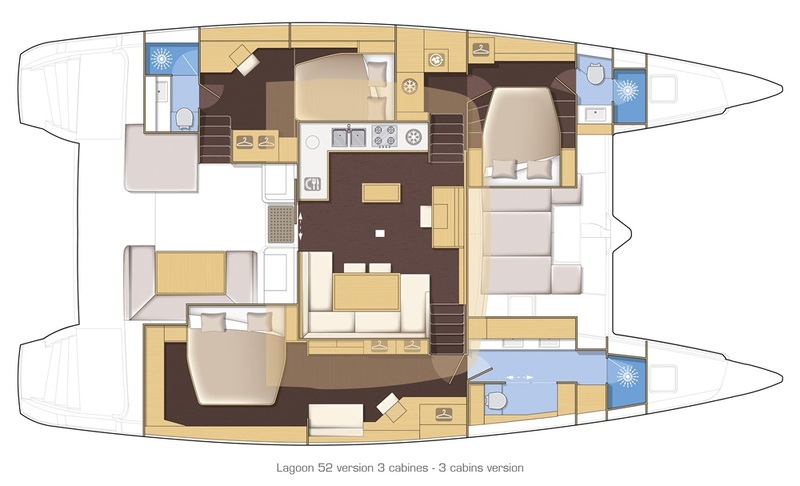 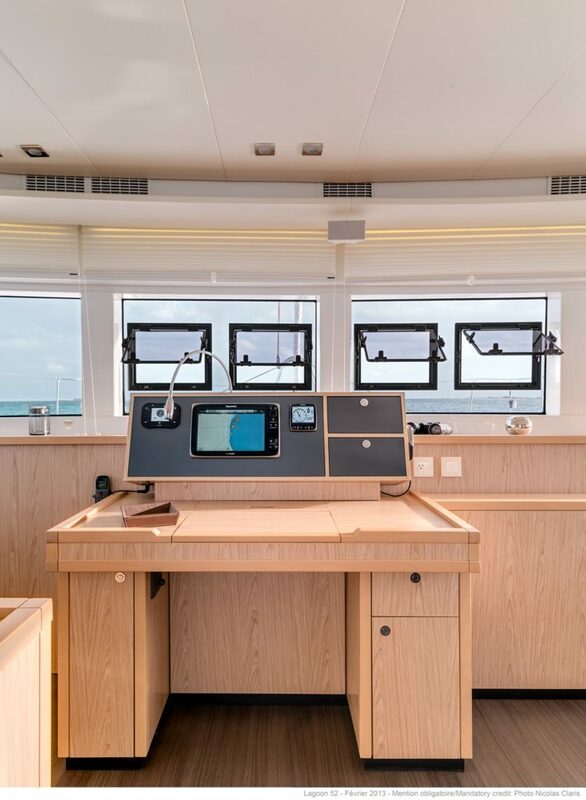 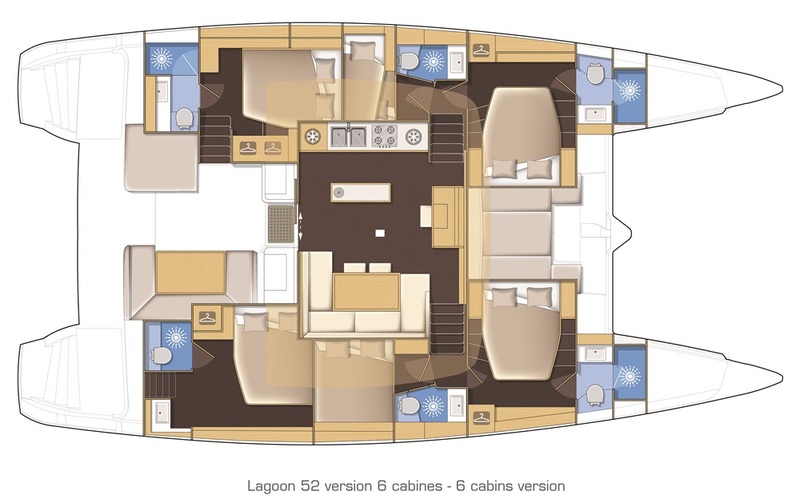 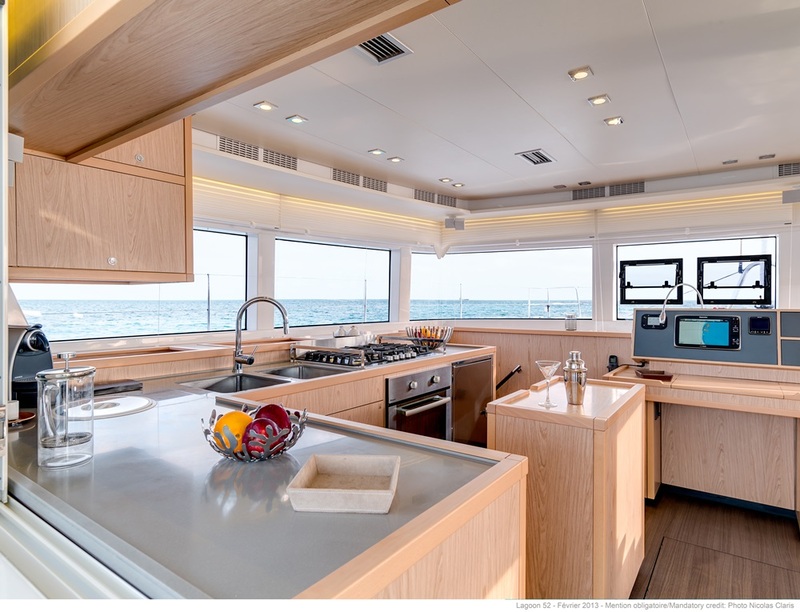 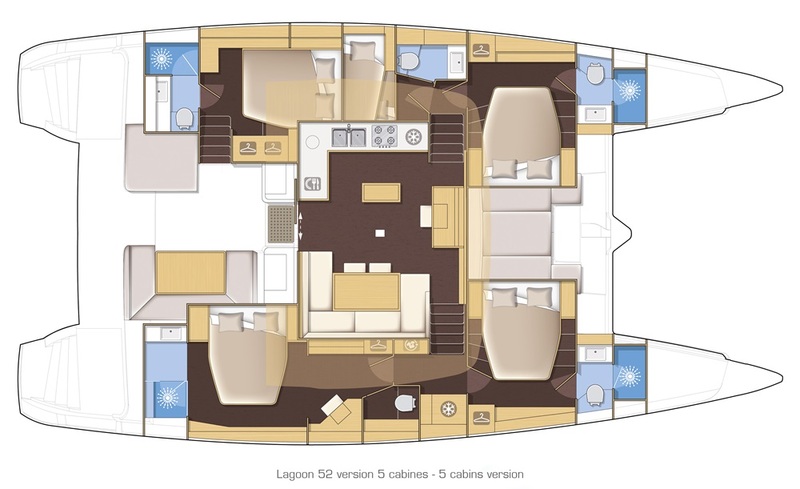 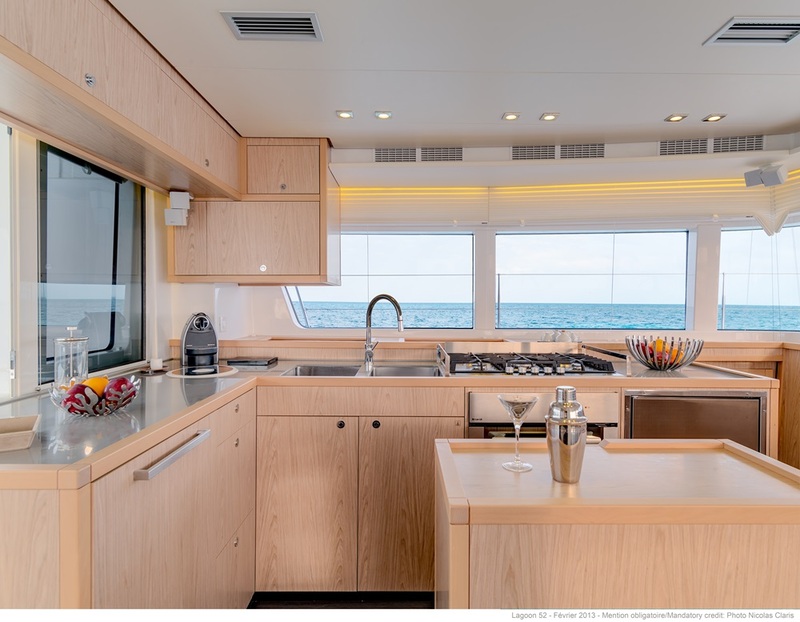 the saloon encompasses the lounge and dining table to starboard, a large galley in U shape on port side the chart table in the middle, facing out to sea. 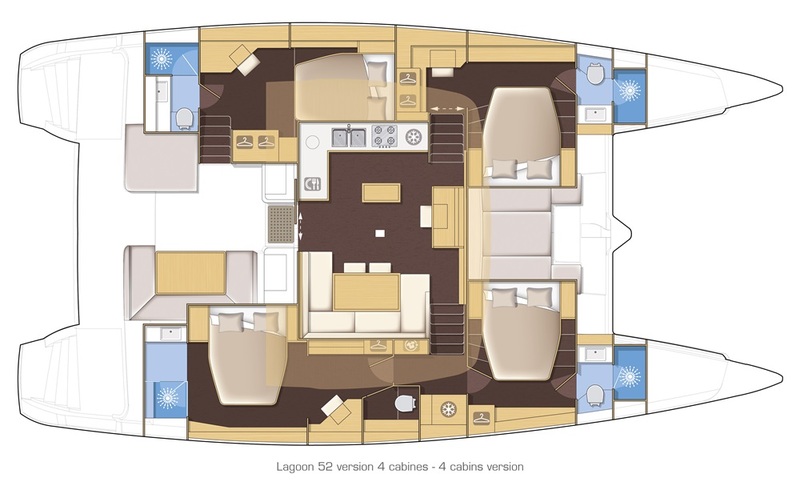 Code 0 (option) 152 m2 /1636 sq.ft.